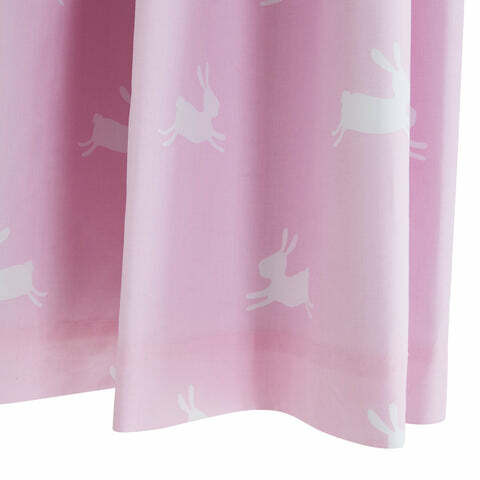 Children's Blackout Curtains - Bunny Hop, W135 x L137 cm | Great Little Trading Co.
All our curtains have blackout linings to prevent daylight from disturbing your children's sleep (and yours for that matter). They're versatile too, with pencil pleat headers to use on on either poles or tracks. Sold in pairs only. Available in two sizes: Standard width and length (two W135cm panels, for curtain poles W120 - 160cm; drop: 137cm/54 inches) or standard width, long length (two W135cm panels, for curtain poles W120 - 160cm; drop: 183cm/72 inches). 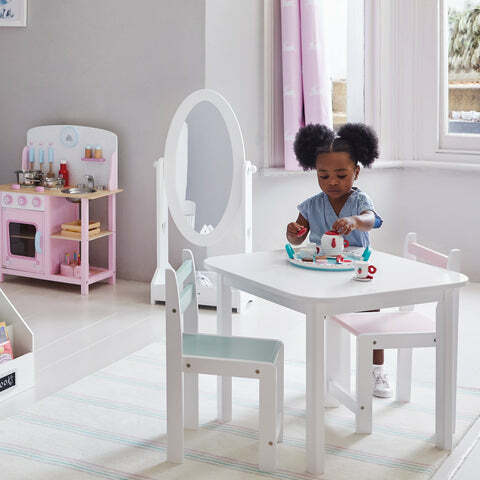 To ensure you order the right size, please refer to our Curtain Measuring Guide. 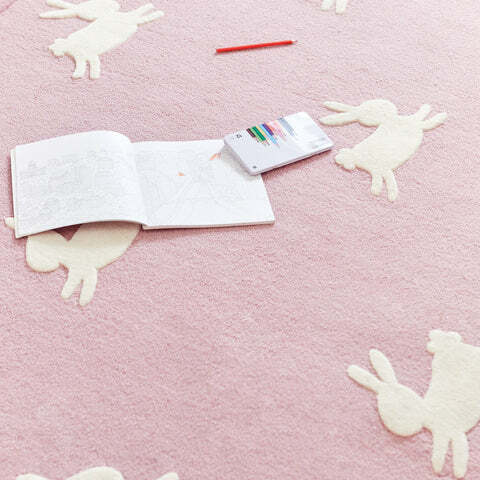 If you love our hopping bunnies you'll find matching accessories in our range of Children's Rugs, Children's Bean Bags and lots more. It also coordinates beautifully with our Confetti Spot design.